Hello lovelies! Since the winters are slowly approaching, our skincare stash is being laden with dry skin friendly products. 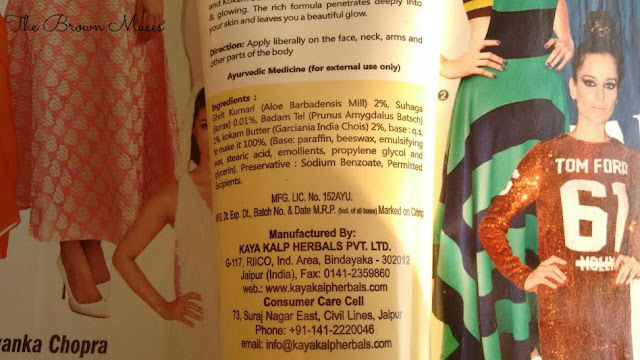 To kick-start our winter skincare products series, I will be reviewing a body lotion from a brand called Kulsum's Kaya Kalp Herbals based in Jaipur, Rajasthan. I purchased this body lotion from my boutique who are the sole retailer of this particular brand's products in Lucknow. Let's see how the body lotion fared for me. The royal city of Jaipur splendid with it’s pink hues that gives it, it’s beautiful name the pink city of Rajasthan. A city that has been an eyewitness to the days of galore, when legends and sagas were sung in traditional folk songs for the beautiful queens and princesses. From this mysterious land of snake charmers enigmatic Royal Safaris, vivid colours and festivities comes ” Kulsum’s Kaya Kalp Herbals- a chain of beauty Saloons and Kulsum’s Kaya Kalp Herbals is a part of a beauty culture brought to us by Mrs. Kulsum Sultana Nee Malik”. Kulsum Malik has recaptured the secrets of the beautiful Royal Rajput women and the Aristocracy of the Nawab culture through a range of time tested Ayurvedic Concepts now brought to the women of today, in the form of her eco friendly herbal products. These products are packed with nature’s best beauty ingredients in all their natural goodness. Her hygienic beauty parlours bear a testimony to her professional & ambitious attitude. Kulsum shows a deep concern for women at large as she provides training in beauty culture to her students to enable them to the best self reliant. As a part of her philanthropic outlook, she provides depending on the students, free or nominally priced training to the underprivileged girls from Disha school for the handicapped at Jaipur and SOS village, Jaipur. She gives them a way to lead self dependent and respectable life. Cocoa butter body lotion is a rich blend of almond oil and kokam butter that leaves your skin feeling healthy & glowing. Available: Here or if you live in Lucknow you can purchase it from Fusion's & Design's. 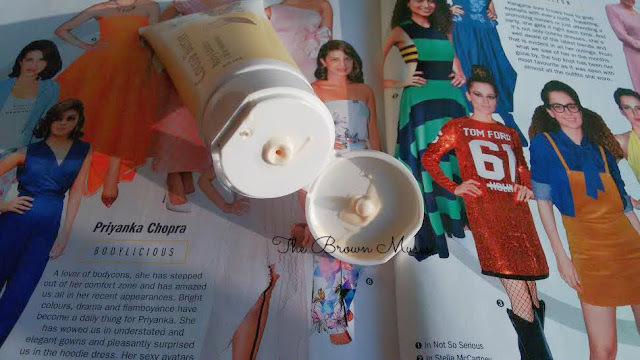 Kulsum's Kaya Kalp Herbals Cocoa Butter body lotion comes in tube packaging which is easy to carry as the lid shuts tight but very inconvenient to use because of the fact that the lotion is thin in consistency and I always end up with more than required quantity. The lotion has a mild fragrance of cocoa which will not bother sensitive noses and is peach-ish in colour. The smell doesn't linger on the skin for a very long time. The body lotion contains goodness of kokum butter and cocoa butter which are known for their moisturising properties. I use this body lotion post bath on skin and it keeps my skin moisturised for over 3-4 hours. 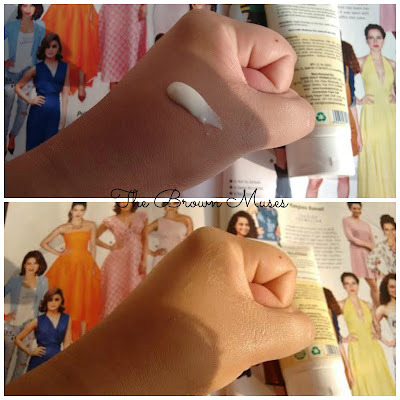 The good thing is that lotion glides easily on skin and doesn't stick to it. But the 24 hr moisturisation claim is false as I already mentioned in my previous statement that the skin remains moisturised for over 3-4 hours only and then one has to reapply. I also find the lotion pricey for the quantity that's being offered. Though what goes in the lotion's favour is that the brand has not used too many harsh chemicals. 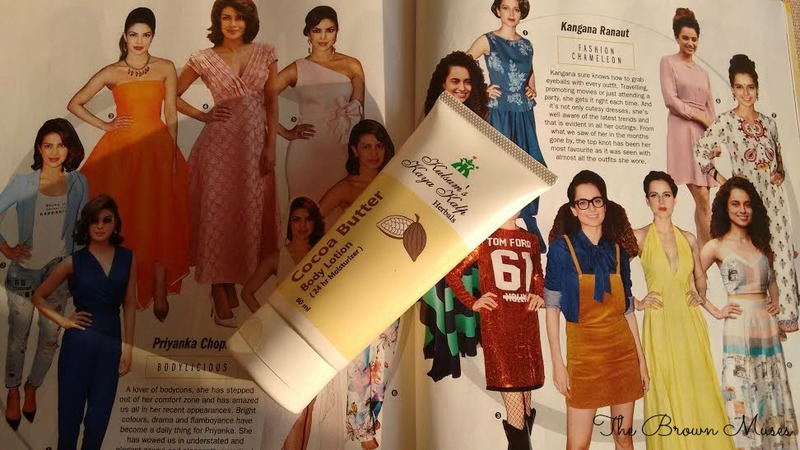 Overall, KKKH Cocoa Butter Body Lotion is a decent body lotion meant for beauties with dry skin. It won't do much for beauties with extremely dry skin.